The Gas Furnace Prices section of the NewHVAC.com website was launched to the public early in the spring 2010 season and we never expected to get requests for more furnace price info before the summer season was even gone, but it happened! Since mid-July, we have watched the visitor requests in our site analytical info closely, and noticed more visitors starting to come to the site looking for more information about heating system and gas furnace prices. To that end, we are going to work on adding more information on gas furnaces than ever! Since one of our main goals is to build a community, we would love it if you helped us, by sharing what you paid for your last gas furnace! Part of comprehending what makes up the gas furnace prices on our site, is to understand what items may need to be considered when you replace a gas furnace. 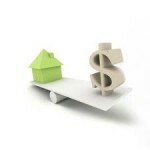 There are the obvious expenses like the equipment itself, but there are several other considerations you have to take into account. 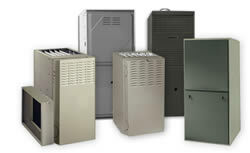 Take a look at what may or may not be needed during the installation of a gas furnace. Sheet Metal duct for transitions and coil boxes. Black steel gas piping, elbows, and flex pipe to connect the gas line. New higher efficiency condensing furnaces need PVC pipe and elbows for intake and exhaust. Many installations need cinder blocks or risers to lift the gas furnace off the pan or mounting surface. Thermostat and possibly thermostat wire. In addition to the added items that contribute to physical gas furnace prices, if you have a central air conditioner system, you may also nee more parts for the cooling side of the equation! 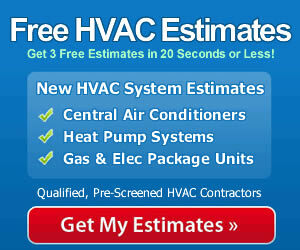 This is the just another reason to get 3 quotes from reliable contractors before buying a new hvac system! As we mentioned earlier in this page, we would be grateful if you, our site visitors, would help us deliver more of the exact information you want! If you already have a general furnace price to share, please do so… if you want to see a specific unit price, also head to the share a price form and tell which gas furnace prices you want to see!